Despite his inability to take inspiring photographs, Karl Lagerfeld is always on his A-game when it comes to model casting and themes for Chanel’s elaborate fashion shows. 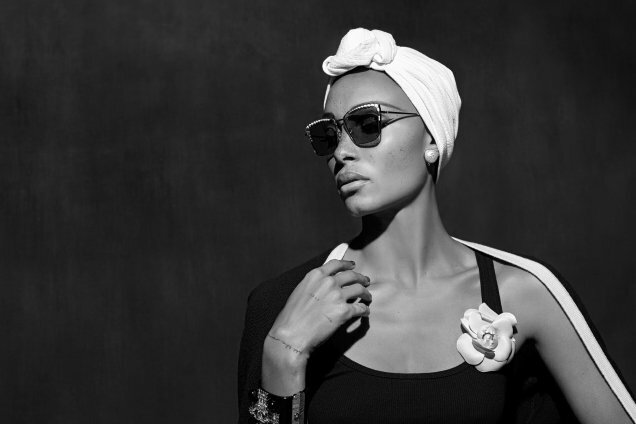 The Kaiser won our forums over last season with a gorgeous Chanel eyewear campaign featuring forum favorite Luna Bijl and now, for Spring 2018, model-of-the-moment Adwoa Aboah snatches up the coveted campaign. Following in the footsteps of Cara Delevingne, Lottie Moss and Willow Smith, Aboah channels her inner Gabrielle Chanel, evoking the iconic photo of Coco and Serge Lifar from 1937, complete with turban and pearls. Ultimately, the black and white campaign images divided our forums. “I wish her eyes looked at the camera,” said forum member apple upon checking out the campaign. “Don’t like it, it’s one of her worst campaigns. There’s no energy or life in these images. The only way to make her seem vaguely interesting is to spice things up on all fronts. Styling, setting, etc. Because without the frills she’s bland. As it is, I’m perplexed how she came this far with her looks,” ranted Benn98. “Could be executed better but I do like it, nice to see Adwoa fronting a Chanel campaign,” said badgalcrush. “I think she’s overrated but the images are nice. Very Chanel,” dfwn2n wrote. Dodencebt was left pleasantly surprised by the outcome. “She is very elegant when shot up-close. I am not particularly fond of her but her Marc Jacobs beauty campaign, her British Vogue cover and now these eyewear shots are truly beautiful,” he confessed. “Oh I love it. 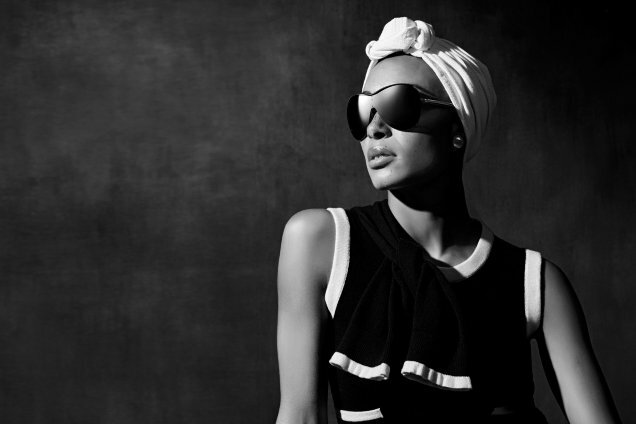 Adwoa gives it attitude, the black and white is great, the styling is fantastic – nice to see fashion in an eyewear ad,” added gazebo.